If you’ve been looking everywhere for qualified container towing up to empty 20 feet in Eastern Suburbs Melbourne, you may not have had much luck so far. That’s because there aren’t many local businesses that offer this essential and important service. Fortunately for you, our company does! If you want to book the finest container towing service available, we’ll never let you down here. Our staff members have significant expertise regarding the hauling of empty towing containers. They can haul and move all varieties of Empty storage containers with full confidence. If you want to give your business to a company that will promise the secure arrival of container, give us a call. 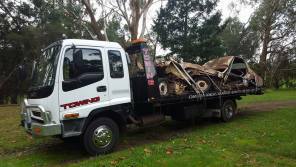 The Right Equipment for the Job in Yarra Ranges Towing.